Frank from Leaf Cycles got in touch with us today excited about Leaf Cycles brand new website launch for 2012! 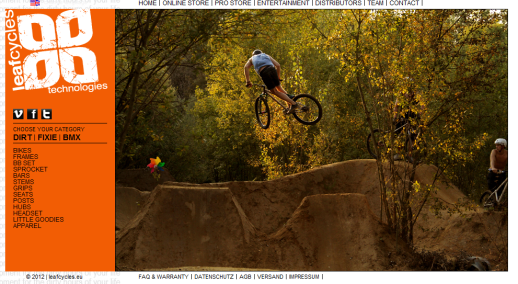 The site looks really nice, with some wicked photos and a full list of their latest products. I was using those cold days to work on the webpage a bit. For the season 2012 leafcycles wants to start with a fresh new look in a new season. I hope you enjoy it and I am able to feed you with one minute of easy entertainment! Head on over to LeafCycles.eu to take a look for yourself.